Sometimes we need to see how a meeting could be held with positive outcomes. Look through our wide selection of programs on how meetings can be facilitated and also how employees can participate by adding to positive outcomes. Newly released remake of the classic John Cleese program on how to make meetings more productive. 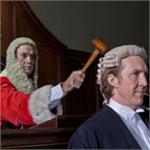 John Cleese is featured as the Judge is this new version. Learn the skills and techniques you need to immediately increase productivity, and decrease interruptions during all types of meetings and group interactions with this video based training workshop. John Cleese comes to the rescue, helping employees to be able to contribute more effectively and deal with even the most awkward colleagues. Do we communicate with others in a way that we inspire, inform or influence? No matter if it is face to face to written they will be able to present themselves clearly. 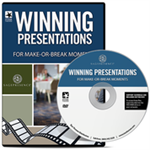 All time best selling program on improving productivity in meetings with John Cleese. Suitable for all staff to help enable people to become more organized and chair meetings that are more effective and motivating for those who attend. 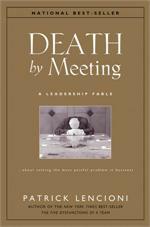 John Cleese provides humor in his best selling sequel to Meetings Bloody Meetings. Everyone should be involved in meetings especially when decisions are being made. Short handbook from Walk The Talk on essential meeting skills. Well Managed Meetings provides keen insight into common pitfalls that often derail meetings and provides proven methods to help prepare and run effective meetings. A how to for meetings especially when they go off course,keeping goals on track, keep participants involved and techniques to resolve disagreements. This program draws our attention to how poor our listening habits can be and how we can improve our communication with others through identifying problems and overcoming bad listening habits.